Knowledge plays a vital role as the key to long-term economic development, at both the national and regional levels. Furthermore, the new circumstances require the exercise of mature citizenship at an intellectual level and responsible citizenship in the political sphere. By its very nature, science education can make a decisive contribution towards achieving the two goals of economic development and civic progress. From this dual perspective, this work analyses the data from PISA 2015. Its aim is to provide an empirical analysis of the relative positions of the 17 Spanish autonomous communities in terms of science education. It focuses on three main variables and how they are related: students’ performance in science, their epistemic conceptions, and their STEM vocations. A number of recommendations for improvement policies and practices relating to this evidence are made. This study reviews the core concepts that research in science education advocates today to achieve quality teaching and learning of science, and therefore the concepts as evidences that should inspire the initial training of science teachers through the master studies. Thus, the concepts of scientific and technological literacy, key competencies, pedagogical content knowledge and nature of science and technology are raised, along with a list of beliefs about teaching science that represent widespread teaching mythical beliefs among teachers. From the previous concepts and beliefs an innovative four-category model of teacher training arises: concepts and processes, nature of science and technology, attitudes and values and cognitive skills of critical thinking. Finally, the application of the innovative training model and its implications for improving educational practice are discussed. This paper analyzes the traditional approach to the sociology of science based upon Karl Mannheim?s sociology of knowledge. Robert Merton?s program is discussed as the basis of sociology of science. Furthermore, Kuhn is acknowledged as having set up the foundation for a new paradigm in the sociology of science. This paper intends to defend the work of Kuhn as the framework by which other current studies in the social sciences under the name of 'sociologies of scientific knowledge' have come about. Finally, several key pedagogical issues taken from the traditional sociology of science as argued by Merton are discussed. It has been found that pedagogy in terms of sociology of science has closely followed the framework used by the other social sciences. Several advances and achievements that have recently made some headway are discussed. Key words: Science and Society, Sociology of Science, Pedagogical Epistemology, Science Education. 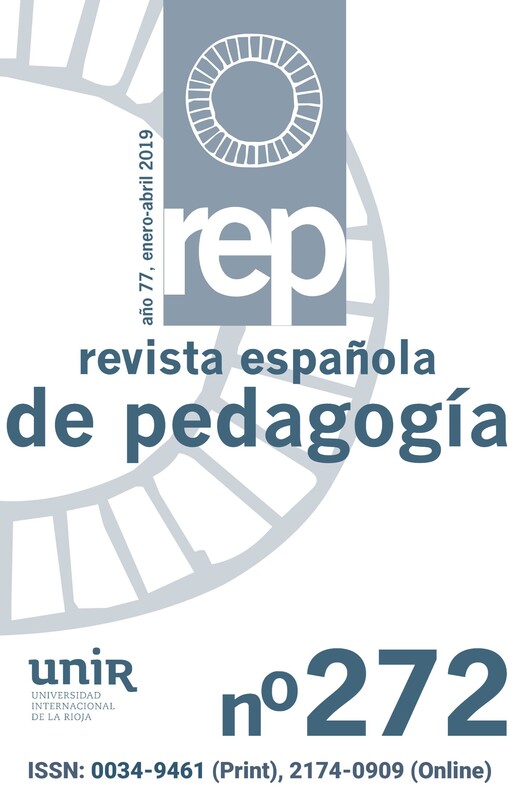 In this article, the conceptions on the professional, personal, and political reconstitution assumed by 236 science teachers from the different Autonomic Communities are assessed. The authors have reflected on the lifelong professional development of educators through eight formative organizers and 40 educational topics specified in a Questionnaire on Heteroformation, composed of 293 items. 166 subhypothesis were tested, and later reduced to 14 verified. At the end recommendations are made of the perspectives on permanent development in the field of natural science. Key words: In-service Education Evaluation, Training Programs, Teacher Centers, Professional Development, Science Education, Science In-service Teacher Education, Science and Society. Short-term strategies for conceptual change, based in the generation of a cognitive conflict, have proved unsuccessful in many cases. So called alternative conceptions extended and mixed in diverse fields beyond the sciences, tend to be organized in more or less diffuse lay mini-theories, have components at different levels of specificity and consciousness, and may be based in strong framework theories. Lay theories differ from scientific ones not only in their content, but also in the nature of their conceptualizations, in their methodology and even in their epistemology. Although the embryos of scientific theories can be constructed during the basic school years, the main effort has to be directed towards the complexification of everyday theories. That calls for a rich, warm and democratic school environment, centered in project-learning and open to the outside world. Key words: Primary education, science education, conceptual change, alternative conceptions, everyday cognition, complex thinking.